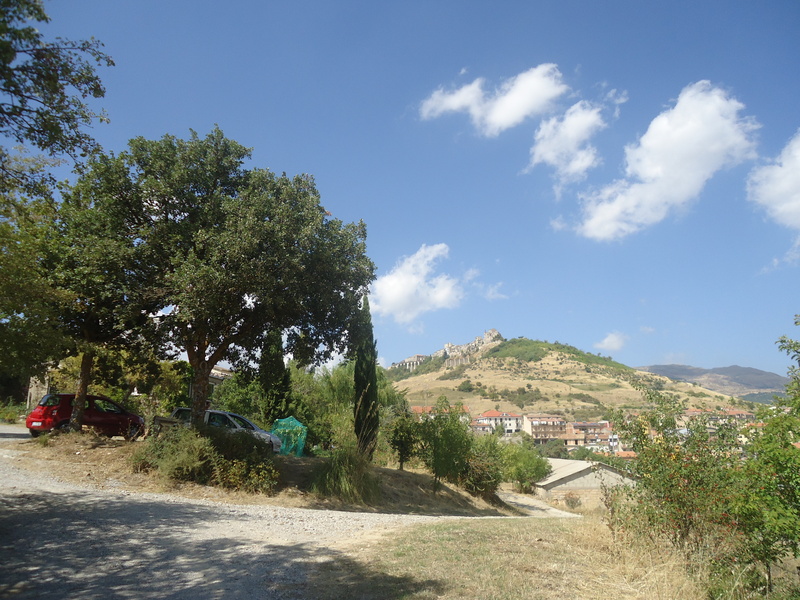 A breathtaking view of the Madonie Mountain Range is what you get on the drive up the mountains looking down at valleys and medieval towns perched up on mountain tops. One of these towns is Petralia Soprana and it was my destination as I traveled to visit Calogero at his Casadeisalici. 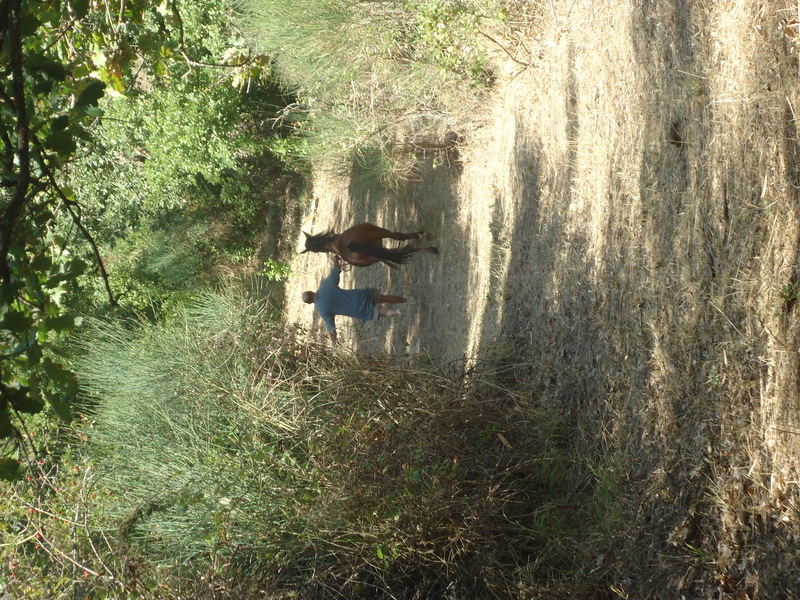 Calogero and his mother greeted me with an espresso at a local cafe’ and then off we went to visit the property. 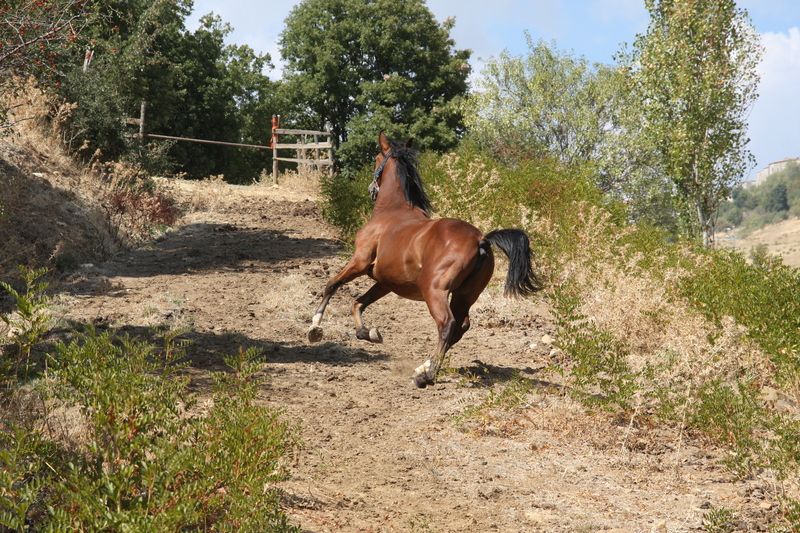 As soon as we arrived, we were greeted by some houseguests, one of whom was cracking almonds which had just been picked, and then we decided to take a walk through the woods on Calogero’s property as he led his two horses for a leisurely trot. After years of hardship and a bankruptcy in the family, as a reaction, Calogero felt a desire to live surrounded by beauty and make money decrease in his scale of values. He wanted to live away from the negative conditions which he had experienced and to which he had been subjected during his prior life and his wish came true. 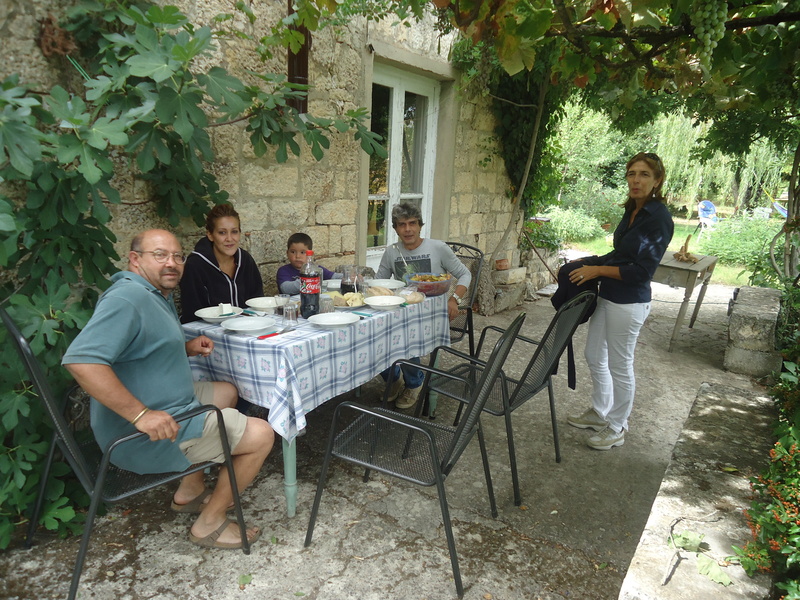 Consequently, in 2002, Calogero was able to give his full attention to the family farm. He explained the philosophy behind his approach towards his farm, his land. In his approach, he lets nature take its course, following the principle of not forcing his will on the land, but allowing a natural harmony to be born. He mentioned that this principle has an expression in the Sicilian dialect and he quoted it, “Comu Voli Diu’. His farming practices call for a peaceful relationship between man and nature and a collaboration in which man doesn’t force his will on nature. When spontaneous plants appear and want to thrive he will not eradicate them but let them take their natural course and the results have shown to work. So, in winter, there will be vegetables that grow spontaneously on the land, and the result is biodiversity, allowing nature to offer its richness available because it is there that it belongs and has its natural habitat. Some spontaneous vegetables are boragine and mushrooms which abound on his land. To support his principle of keeping what is native to the land on the land, his fruit trees bare fruits without him having to make any kind of intervention; there are plums native to this area, pears, apples and other fruits. He has tried to bring in seeds from other regions and the plants did not grow as they were not in their natural habitat. For example, when he collects seeds from the asparagus that grows spontaneously in this region, (he showed me three types of asparagus plants here) the plants grow well as they are in harmony with the land. 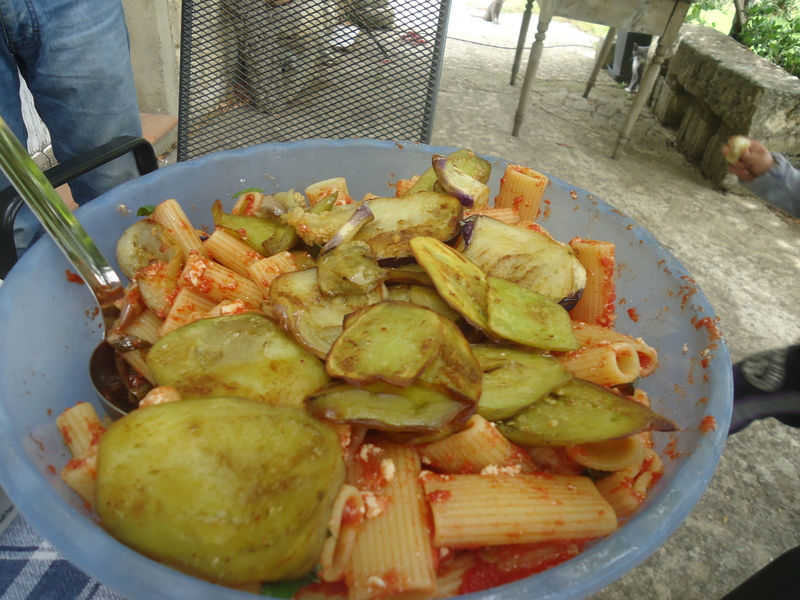 Another of his local vegetables, which has only a Sicilian name, “shiaccabulici”, grows low and is bitter and it grows only in specific areas – he tried planting the seeds elsewhere and it grew in some places and not in others. Each season offers different plants and there is a practice to eat what is in season and what the season offers through the land. Here again the principle of harmony; not trying to conquer by forcing something that is not natural. When guests arrive, the wish is to allow them to enter into the harmony created in this natural habitat, and I am a witness that this works having been one myself. He runs a B&B at his mountain home, casadeisalici.com, but even in this aspect of his work he is not interested in numbers, but his goal is that in the experience of staying at his home the guests find what they are looking for right there in the countryside on the Madonie Mountains. He wishes to offer the type of hospitality that makes a guest feel as if they were staying at a friend’s home. So the stay at his home will be one in harmony with nature and that will satisfy the wishes of the guests. Twenty years ago, Calogero built the stables and houses horses. I saw his American bred horse, Spot, while visiting the stables. 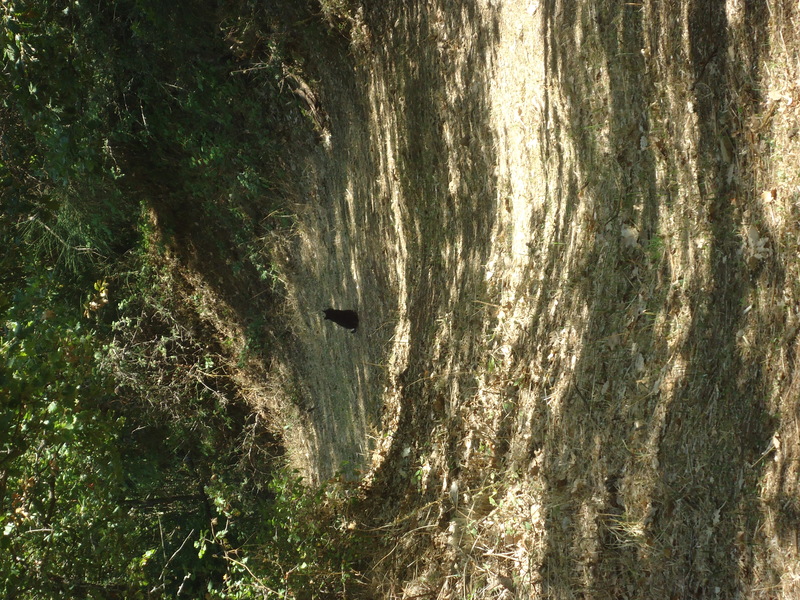 Many times, his guests are groups of horseback riders who come to explore the territory on horseback. 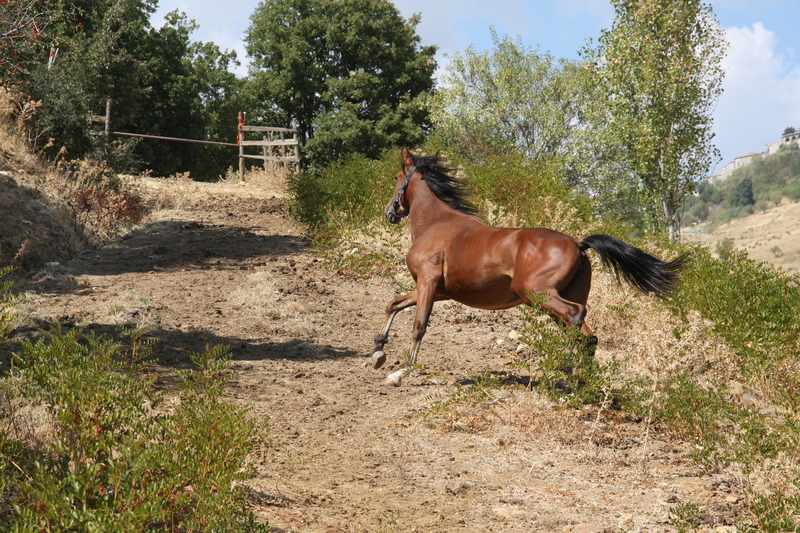 Calogero is also a horseback riding guide. While we conversed, he provided an example and mentioned one path where he led a group this summer. 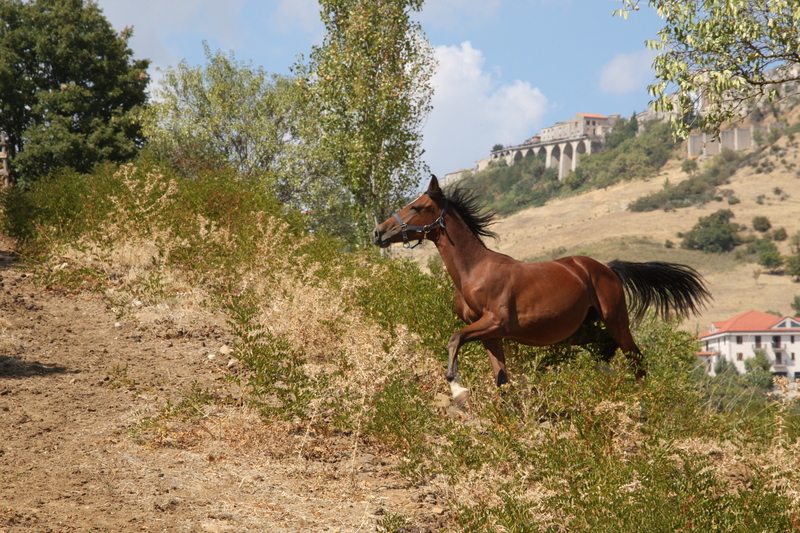 Leaving on horseback from Petralia Soprana, the group proceeded to the Miraglia Woods heading East. They traveled across the Madonie Mountain Range and then the “Dorsale” of the Nebrodi Mountains, an old path. This trip takes five days on horseback, stopping to sleep along the way at the farmhouses of friends or official guesthouses. Other groups may come to take part in other seasonal practices such as grape harvesting or picking apples. He likes to have groups stay at his B&B farmhouse that are interested in group activities that the location can support. This summer, in August 2012, he hosted the event “Madonie Sotto Le Stelle”,”Madonie Under the Stars”, an event in the woods of storytelling, poetry, traveling musicians who went from the house to the stables and then into the woods. Both locals and people from afar participated in this event. His guests usually share a common interest and find here the space to carry out their activities. He has had musical groups that needed a quiet isolated place to practice and not have to interrupt their work and they have found what they needed here. At the end of our conversation, Calogero wanted to convey an important message. He stated, that unfortunately, around the world, Sicily has been known for some negative characteristics, but that in experiencing the land first hand one can appreciate that its harmony and beauty are stronger. There is a lot of beauty to discover here. Calogero wanted to quote Ian, a Brit who lives in Petralia Soprana and who expressed his positives feelings towards the beauty which he experiences by living in this land, through a poem he shared at the event, Madonie Sotto le Stelle. In his poem, Ian named, one by one, the elements of beauty he has encountered and experienced while living in this land. As he mentioned each one, he also mentioned the one word that has always obscured them to the ears of people around the world: the word, Mafia. Ciao cara Rossana,sono Riccardo ci siamo conosciuti nel corso di terra cruda.Che bello il tuo blog complimenti.Poi quando riesci mi puoi spedire i tuoi contatti al mio indirizzo per favore .A big hug !!! Grazie, Riccardo. Ti scrivo una email con i contatti. Loved the pictures and description of the trips through the mountains on horseback. Had to share the pictures with Brittany-what fun that would be!!! Your trip looks beautiful! I am planning a trip to Sicily. Do you have any information of where I can schedule a daily horse riding tour? Unfortunately, I can only fit a few hours of a trail ride into my schedule, but your blog has inspired me to do it!! Your trip looks beautiful! I am planning a trip to Sicily. Do you have any information of where I can schedule a daily horse riding tour? Unfortunately, I can only fit a few hours of a trail ride into my schedule, but your blog has inspired me to do it!! Any information would be great! Where will you be in Sicily? Will you be able to speak Italian? The two equestrian sites I visited are off the beaten path. Calogero’s place on the Madonie encompasses a ride through the mountains. The trails should be beautiful but it is my understanding that you have very little time. It may be too long a trip for you for just a half day of riding and I wouldn’t recommend you do it alone if you are not used to driving in Sicily. Good Luck and let me know if I can answer other questions. This is beautiful! It was such a pleasure meeting you today at the ASO concert!! Thank You. Meeting you was also a pleasure for me.